This article is part of the “Starting Up Smarter” series, where I try to share what I have learned running Erasmusu.com since 2008. I hope that it proves useful for project managers, developers, designers or any other crazy, like-minded individual, who finds pleasure in creating things. If you’re one of the above, follow me on Twitter. Can you learn more from success or failure? When we read of great success stories in the media, normally we only see the good points, the strengths that carried these people to where they are. However in my opinion, their faults should be equally or more important in terms of providing useful examples. If you tell me how someone became successful, I’m not sure if I will be able to replicate that success or not. But tell me where they failed, and maybe I’ll never make that mistake. We all slip up. To err is human. And with this, I would like to highlight the worst mistakes I’ve made since launching Erasmusu.com in 2008. Hopefully, you can avoid the same proverbial booboos from hitting the fan. 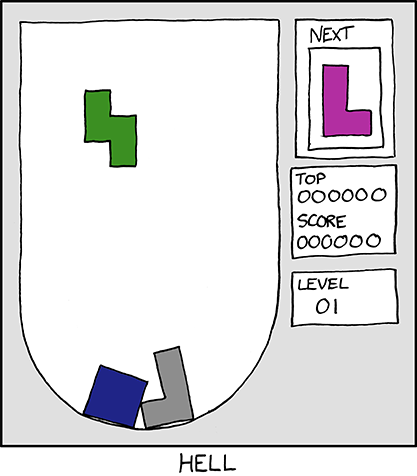 Some slipups are monumental gaffes, and others are traps that you cannot help but fall into. Many have been resolved over time (everything is okay now, thankfully), however others have become part of the fixtures and fittings and are likely to be with us for as long as Erasmusu.com exists. But remember, we learn from our mistakes. As Albert Einstein said, in the midst of the trenches, you cannot simultaneously prevent and prepare for war. When the website went live in 2009, the first thing we did was pull the rug right out from under our SEO’s feet. At the time, our shining beacon for “doing things right” in social networking was the website Tuenti, an invitation-only Spanish equivalent of Facebook. Tuenti seemed to work really well with its exclusivity and total member-only invitations; if you weren’t a member you couldn’t even get past the welcome page. So this is how we decided to build our website. However, the issue with Tuenti is that it focuses primarily on member’s social connections and not much else. And the contrast in Erasmusu is that we wanted to focus more on quality content in worldwide Erasmus destinations. So with the approach of privatizing all our content, our entire database of Erasmus cities and Universities was now inaccessible to search engines; we had committed SEO suicide. Any information, blogs or written experiences posted by users were completely invisible to Google. We’d proverbially shot ourselves in the foot. Furthermore, the lack of developmental resources and time to re-program or re-design was a huge problem, especially in regards to the jump from privatized system to user-accessible public interface with friendly URLs, etc. This resulted in a difficult and expensive folly for us. This is almost impossible to avoid. You can read this warning a thousand times in any number of different articles, but if it’s your first project, you’re still certain to fall into this pit. We thought that all our features were essential, but in retrospect, it was far too much. “Should we put this feature in? – Hell yeah! Look, Tuenti has it and it works so well for them. We HAVE to include this.” And we soon saw that our infinite amount of features had to disappear (in a painful way) due to unsuitability. It makes me laugh so much when I read old emails from the summer of 2008 when we were designing the first Erasmusu UX. Everything seemed so important. Every new start-up strategy should include a definition it’s minimum viable product. Once this is defined, it’s easy to continue snipping away. The idea is to avoid creating a product that nobody wants or needs. Be mindful! A MVP doesn’t necessarily mean an unfinished product. Create something useful and elegant. Usability and aesthetics are important, but do not overload your work with needless accessories. You’ll spend less time on development. You will receive feedback sooner. Your users will be the ones that form the future development of your product in a real way, not with your hypothesis. Nothing hurts more than reality sinking in. You can focus more on what really matters. And as a result, your product will be far superior in usability. If nobody likes your product, you’ll know about it sooner rather than later. You won’t have unusable sections in future iterations that you don’t want to delete because you are annoyed about the time you spent creating them. You can envision what the real impact will be for new features as you go, testing them along the way. Only a crazy guy like David Bonilla (Otogami) can generate income through affiliate programs and still come out smiling. For the rest of us, it’s most certainly suicide. In all seriousness, it is possible, if what you’re offering is a marketplace similar in style to Otogami or apps like HotelTonight, ReallyLateBooking, or JayIsGames where the product is totally sell/buy orientated. But if you own a public website, blog, social network, etc. like us, and are not orientated towards a specific product, it’s extraordinarily complicated. In order to make a significant amount of money through web affiliation, your level of traffic needs to be sky-high. And you could monetize that traffic much better by other means such as direct sale of a product or service. With Erasmusu, we tried affiliate programs from various angles: we employed widgets that searched flights through Minube, classes and Masters courses for students, the Zanox platform, etc. And unfortunately, none of them have been worthwhile. From my point of view, after funneling high volumes of traffic towards a product or brand it’s not your responsibility to guarantee sales results. There could be any number of unrelated factors involved in certain periods: the product may not be right for your users, the landing page is not enticing enough, the product has hit the market at the wrong time, etc. For the affiliate product owner, it will always be a win-win. Sale or no-sale, they will always receive the traffic. But for you, the outcome is more likely to be a fail-fail. 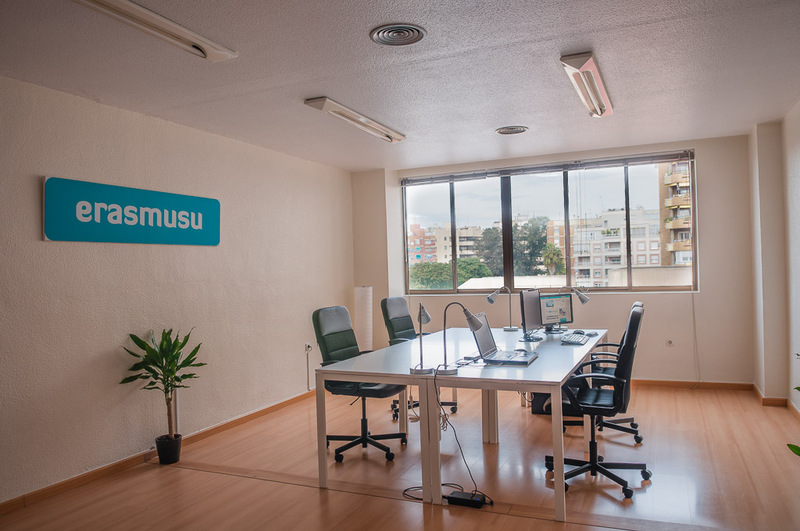 Erasmusu consists of four partners, two from Murcia in the South, and two from Galicia in the North. We’ve always worked apart, occasionally in pairs, but never as a foursome under the same roof. Without a doubt, this has been the biggest strain. In the website’s early days, we were simply proud to be part of a team. Even considering the distance, we managed to work well together, communicating via programmes like Gtalk, Skype and Google Docs, etc. Only on rare occasions we were able to meet in person, and realised at once that we worked so well together that long distance operations could never, ever, ever compare to working under the same roof. Working with a long distance team will cost you hundreds of irreplaceable hours, and chatting away on Gtalk, writing mammoth emails trying to explain yourself, misinterpreting your workmate’s intentions through text, etc. becomes part of this. Moreover, you will never be able to experience those small, yet phenomenally important things that come through close work relationships; quick ideas jotted on paper, the euphoria of uploading new releases, the camaraderie and laughter, the endless motivation, the joys of throwing your teammates off cliffs when playing New Super Mario Bros on the office Wii, etc. Communication is so crucial to a business start-up, and working at a distance, although seemingly easy, is a physically and mentally expensive mistake. Firstly, we need to generate the traffic, and then everything else will follow. Once we’ve got loads of visitors we’ll have a million ways to make money, selling t-shirts, or blah, blah, blah whatever. It’ll be sick!”. I will never start up another social network as long as I live. I won’t ever take on another project that doesn’t start selling something from day one. Create something and sell it. If you embark upon a ship that requires you to generate market interest first and then sell the product afterwards, you become unsure about what failure really is. If your business start-up has financial investment, then maybe you may want to create a plan: “first, growth, loyalty and then we sell”, and even still you may choose not to sell anything right at the beginning. However, this could prove risky. It’s essential to remember that the initial feedback you get doing real sales with real customers is so important in influencing the direction your business heads in. And furthermore, not having a clear team hierarchy. Yes, I know that some really cool startups work well without hierarchy. In this sugary lollipop-land, you can see sweet businesses like Github, who run without managers, without deadlines, without working hours and without meetings. I love reading about how they function without any hierarchy but in our personal team reality, we were feeling happy in the super cool notion that “nobody was above anybody else”, however, it didn’t worked out well. The majority of internal tension that Erasmusu suffered derived from discussions about doing certain things and whether they were specific enough. Major tempers have always flared when two members thought they should have the last word. Let’s take, for example, the line between UX and UI, which is not always that clear. If one member looks after the UX and another the UI, and neither is hierarchically above the other, the two can lock horns. Two people can unknowingly initiate so many fiery arguments when all they wanted was a conversation, and the fuel is most likely opposing views. It’s a typical roadblock. This doesn’t occur in established companies where the team consists of project managers, design managers, etc. If you work in a place like this, you can dispute things with your boss once, twice, maybe three times. But if there is no common consensus between you and your team, they can always make the higher decision that eliminates any work related roadblock. But of course, it should always be your responsibility to keep the consensus as central as possible and not to abuse your position for anyone’s benefit. But in Erasmusu, discussions between employees resulted in one treading on another’s professional area, leading to verbal blood baths, raised voices and red hot e-mails. At some points, we really hurt each other, and we wasted so many valuable hours being mad at each other. And really, this is something that could’ve been avoided. The problem was that there was no defined team hierarchy to remove the roadblocks. The fact that all four of us had a 25% stake meant that there were no project managers at all to avoid the roadblocks. I have been an Erasmusu project manager involved in many aspects; planning time, specifying tasks, team coordination and business model development. However, I’ve never had the final word and never been able to settle two arguing workmates or myself, for that matter. And many scuffles have started because of this! Pardon me while I laugh. The particular example above has been fabricated with estimated data, and this way of predicting future income is a mistake that I’ve seen in several business plans. And that’s not the best thing; we made the same mistake. To hypothesise your future income with demographic data is a fail of epically cosmic proportions. What you end up doing is amending your Excel spread sheet so that all your ratios and variables add up sensibly into something that an investor would be interested in. Or at least that’s what happened to us. But in the real world it doesn’t amount to anything. Sell your MVP forward and really push it. Whatever may be the most basic yet merchandisable will be the most profitable and keep on top of it. Let people know about it, generate traffic by creating content and taking care of your mailing list. With this you can create more reliable estimations. If, say, you earn €200 from 1000 visits per month, you can predict with a much smaller error margin (than the hot air blowing before), that with twice this amount of visitors you could receive double the income. Sounds logical, right? We participated once in a competition to find the best business project, where the winner was decided through a public voting system. I got confused when the operators sent us our voting link and accidentally ended up distributing one of our competitor’s links to our users instead. It took them receiving enough votes and us none, for me to realise the mistake, by then it was too late. I still have nightmares to this day about this, but at least they didn’t win anyway (neither did we, so never mind). One time, by mistake, somebody screwed up an SQL query and we ended up giving every city in our system the same wrong name. It appeared that you could do “Erasmus in Murcia, Poland” if you liked. Back when we were still a baby idea on a piece of paper and a mountain of UX sketches, our competition appeared online (with a ‘.com’, no less). Our ‘great’ idea was to register all the other website domains that they didn’t have yet, ‘.net’, ‘.org’, etc. Why did we do this? Well, for nothing really. Simply for the sake of being awkwardly spiteful. And needless to say, this was playing dirty and unethical. When said competition found out, they got in contact with us, and boy, were they were pissed off big time. There was nothing we could do apart from hang our heads, beg for forgiveness and hand the URLs over. Very embarrassing. In one of our earlier versions of Erasmusu, I think in the second version, we had an “Edit Profile” section. Now, at the time, our “Unsubscribe” button was placed right at the bottom of this page, and many users ended up confusing it with the “Save” button because of its position. In trying to save work, users were unsubscribing, and this was a seriously impressive mistake. Another time, when the website was “in maintenance”, it appeared the website was becoming stuck in users caches’ and the only way to enter the website was by force refreshing with CRTL + F5. We were so showered with emails about this that we had a backlog for weeks. 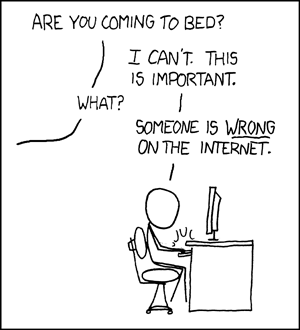 I hope that some of the mistakes that I’ve made in my business start-up will be helpful to you in avoiding them, and also providing a laugh or two, especially with the cool images I found on xkcd. Give lots of love to your projects and follow me on Twitter if you like same kind of topics. Thank you very much to Kathryn Mathers and Dustin Tanner for helping me with the translation of the article. I want to mention too that I was heavily inspired by Jenius book while writing this article. I think it’s great to share things like that and to learn from others. Thank you Joe for sharing your own experience! I’m agree with you, focus is really important. Thank you so much for this article! It is really helpful for me, as I have about 10 ideas floating in my head, scribbled into various notebooks around the house, and I really want one of them to work out. I’m almost scared to start actual work on any of them–to put so much time, energy and effort into them on the possibility they will go nowhere. You have said a lot of really good things here, and I plan to take your advice. Thanks again for the article.